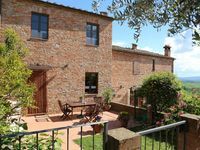 Property 23: Tweety Home is a precious relaxing corner in the heart of the Crete Senesi. Property 30: House in house in restored farmhouse of the Arceno estate 600sqm garden, pool. Honestly one of the best breaks we&rsquo;ve ever had. Couldn&rsquo;t recommend the villa enough. We&rsquo;ll be back next year!